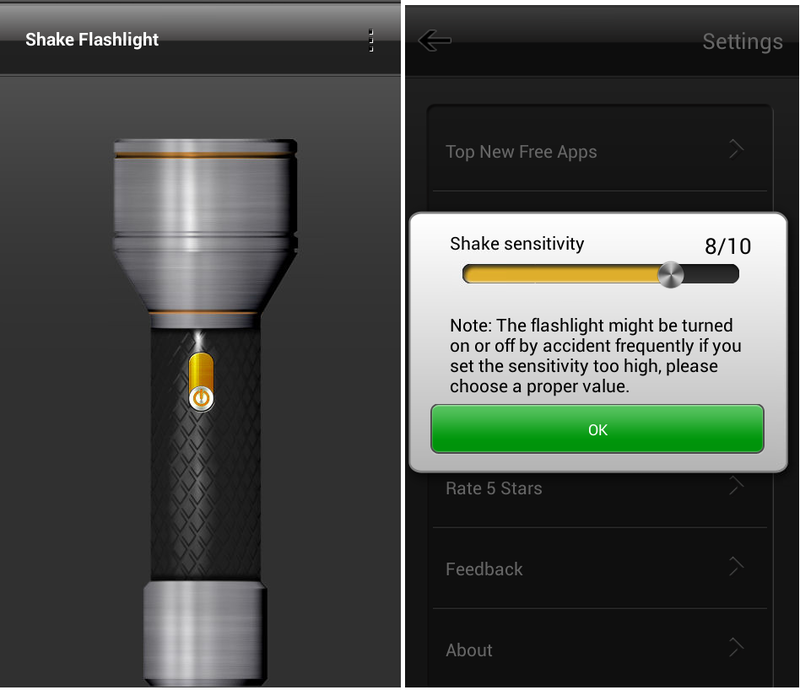 There are many shake flashlight apps are available in google play store, one of them is “Shake Flashlight”. This small app can turn on or off phone camera light by just shaking your phone and have option to set shake sensitivity. In some devices this app will work even from lockscreen, otherwise you need to unlock your phone to use this app.